Get the skinny on making delicious, healthy skin care at home with Classes with Glasses in Sydney. 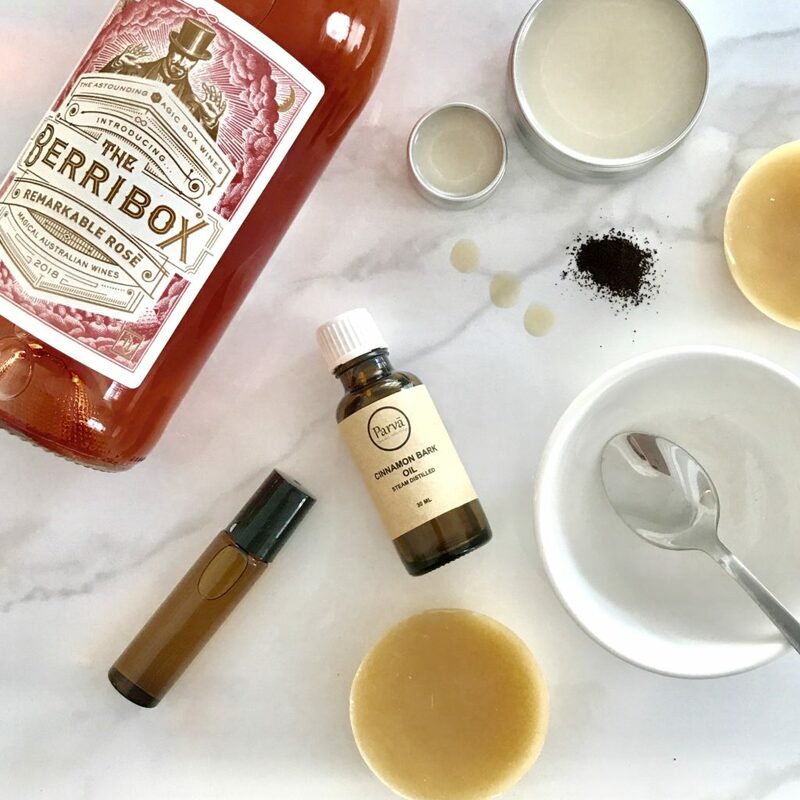 Learn how to make your own healthy skin care at home using ingredients from your kitchen while reducing your impact on the planet. Kirsty Mootz from Parva (Little Things) is here to guide you on your journey. A fun hands-on workshop to get you started on your low tox, low wast skin care journey, the planet and your body will thank you! Gain the skills to make your own natural, no nasties and ethical skin care. All skin types catered for, and men are welcome. Plastic-free containers will be provided, designed to be refilled again and again. + A DIGITAL BOOKLET WITH RECIPES, STOCKISTS AND INFORMATION ON FORMULATION AND SAFE USE OF ESSENTIAL OILS. BRING A BAG TO HAUL YOUR LOOT. EVERYTHING ELSE IS PROVIDED. IF BOOZE ISN’T YOUR BAG, FEEL FREE TO BRING ALONG YOUR FAVE KOMBUCHA, KEFIR OR WHATEVER YOU LIKE TO DRINK. Located in a gorgeous heritage listed terrace house in Surry Hills, Classes with Glasses is a beautiful way to learn something new, over a glass of vino! Classes with Glasses is Sydney’s only comprehensive BYO drinks workshop program. From watercolour to screen printing, textile art to natural skincare, there is a Classes with Glasses for everybody. Classes are designed to be fun and social, perfect for a night out with your pals or date night with someone special. BYO drinks are encouraged. If booze isn’t your bag then feel free to bring along your fave kombucha or whatever your poison. 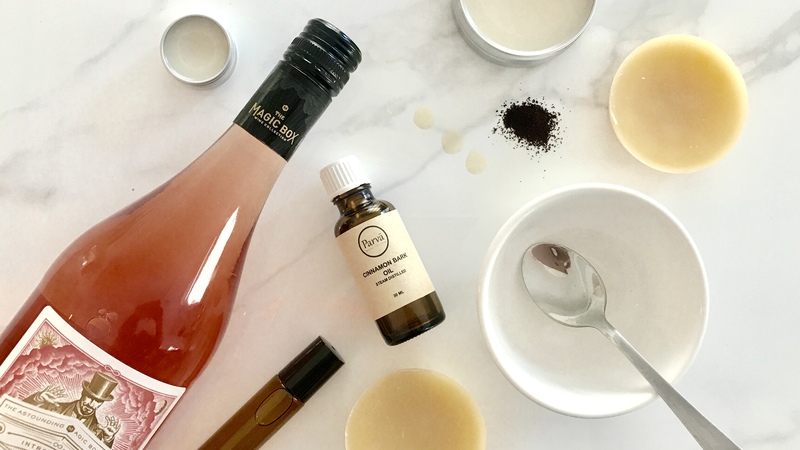 Kirsty Mootz is the maker behind Parva (‘par.wa: little things) specialising in handmade organic skincare using Australian Certified Organic and locally sourced and foraged ingredients. She is self-taught and very passionate about reducing the impact our skincare products have on the Earth and our bodies. Kirsty now shares her tips and tricks through teaching workshops.